As Christians we are living in a world that is bleeding badly having been severely injured by sin. I can’t remember a time in my lifetime that we have had so many secular worldviews, people trying to redefine the Biblical definition of marriage between one man and one woman, economics of our country turned upside down, and a world just suffering from the anxiety that comes from simply not knowing and following God. It’s time as followers of Christ that we start practicing the teachings of Christ or take down our sign. It’s time for Christians to be Christians. It’s time to speak into our culture and talk about world views that are not Biblical. We can’t sit back and simply wait for someone else to do it. Time is short and if we don’t speak out for Biblical truth, we will certainly miss the wonderful opportunity we have been given. So…what will you do? Be a Christian or take down your sign? 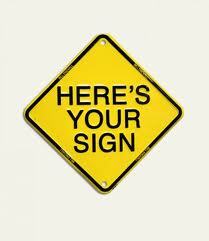 I hope you decide to reinforce your sign and move full speed ahead for Jesus Christ and Biblical truth.